IT'S NOT REALLY HAXING IF YOU ARE GETTING PAID. 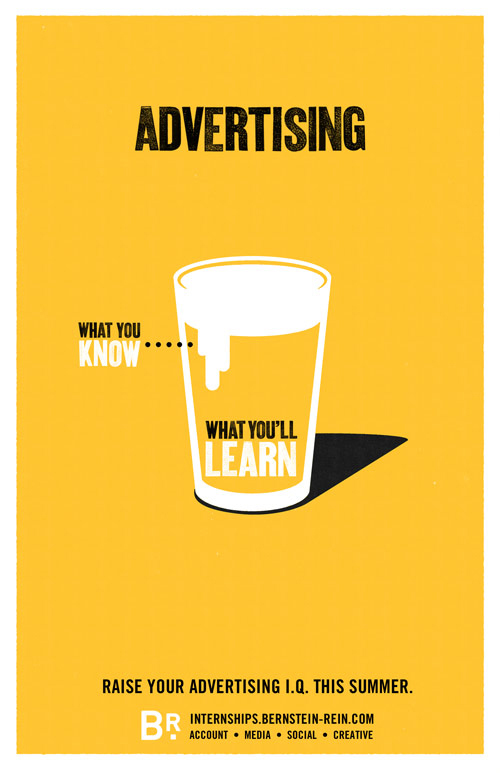 An internship in advertising should be a real learning experience for the bright-eyed college student. 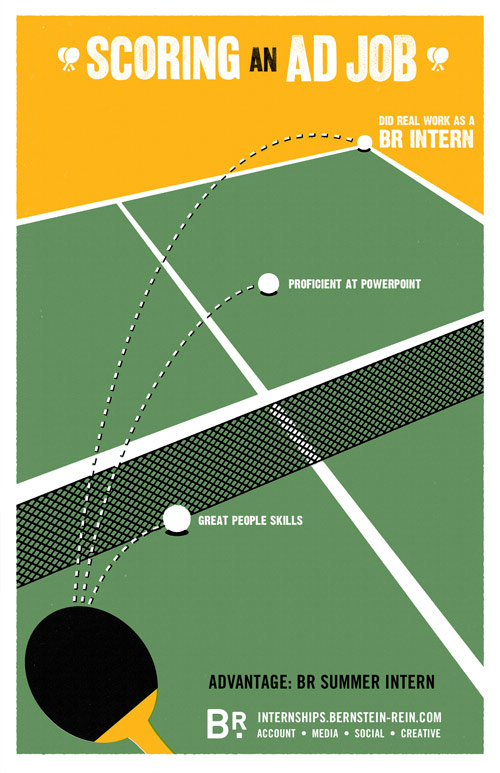 We created a series of posters, an email and two websites to attract the best and brightest to BR’s mentoring internships. 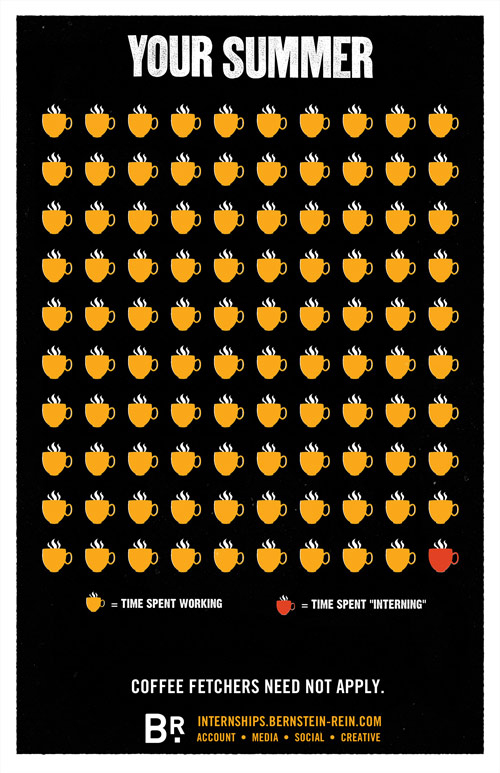 Each poster was an infographic of a perk of the usual agency life.